People are coming into the centre and talking about the books they are going to read over Christmas so we thought it would be a fun idea to find out what other people are reading. You never know it may inspire others to read the book too. So for our latest competition we are giving a prize for the most interesting or inspiring comments. The prize will be that we will choose a book for you from our books on sale. We will use your comments to pick something that we feel matches the things you look for in a book. All you have to do is pop in and collect it. 'The Spontaneous Healing of Belief' Shattering the paradign of False Limits by Gregg Braden. I was attracted to this book because it is about quatum physics. The author is a scientist and novelist who specialises in writing books that the average Joe Public can understand. After seeing the film 'The matrix' I have always been fascinated by the possiblities. The book is said to be showing evidence that dispells many myths and proves that heart felt beliefs can effect everything from the healing of our bodies to the atoms we are surrounded by. It proffers that our thoughts can change reality. Well how will I know? I am really excited by this book I have discovered. 'Doppler' An Elk is for Life - not just for Christmas by Erlend Lee - it says on the back cover that is is a deeply subversive fable about consummerism. existence and a baby elk called Bongo. Sounds a bit whacky to me - right up my street. What better time to read a fable than Christmas and it is a norwegian novel translated into English. I am looking froward to a bit of quirkiness. Often foreign books give a new slant on life - we will see. The fly sheet says that it is compelling and perceptive. It also says that it's gentle approach looks at some of the harsher aspects of life. 'Snow Drops' by A D Miller. This is the fictional story of British Lawyer living in Russia. He find the disregard for human poverity, homeless people who are left to die in the snow, off the wall night clubs and corruption in high places begins to corrupt him and his vision of life. Led and encouraged by his relationship with an enigmatic local he begins to lose sight of who he is. I enjoy reading about other peoples experiences - even if it is only fiction. Do you remember or do you find that you are often searching for words that you know but are forgetting for the moment? If so you are likey to be at least 30 and have probably seen an increase in this type of forgetfulness as the post 30 years progress. I've often heard it referred to as a senior moment! It doesn't bother you much when it is infrequent and it can be laughed off as over loaded with things to thiink about, too much stress and such like. Do you tartle? If you hesitate when introducing someone because you have forgotten their name you would be tartling if you lived in Scotland. It's probably a good way to refer to it - tartling sounds quite interesting and is not readily associated with aging or loosing your memory. It seems to put a more positive slant on it. We are all fearful of the big 'D' word - dementia, which could be perceived to be a total loss of control of the mind or indeed loss of the mind itself. Where dementia is not fully understood, memory loss associated with age is. As we get older we notice physiological changes, for instance, we cannot do as much as we used to, our muscles don't recover as quickly from damage, we tire more quickly - that is also relevant to our brain and mental faculties. Whilst it's not really a problem, there are things we can do to help slow it down. Let's first understand some of the situation that arise with age. The part pf the brain that deals with memory deteriorates with age. Hormones and proteins that protect and repair brain and nerve cells are not as active with age. 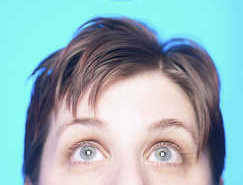 Bllod flow is often not a good as you get older and this can also affect the memoru. You do not absorb nutrients as easily as you get older and therefore your brain isn't getting as much food as it used to and more is passing straight through. Knowledge is great because no we understand it is a bit more obvious about some of the things you can do to help. Exercise regularly to increase the flow of blood around your system and in turn to your brain and the side benefit is that if you exercise and bring up you pulse rate it will also help to scrap the cholesterol from the lining of your blood vessels..
Take digestive enzymes but don't just go and buy any old thing make sure your are taking the right ones, there are different digestive enzymes for different nutrient absorbtion and different ways to take them for best benefit. Ask us. Eat the right kinds of foods and stay off the unhealthy stuff, even more important for lots of reason as you get older. Do something about your stress levels if you get overwrought with worries. Cortisol, relaeased with stress, damages the brain over time. Quit smoking NOW, one of the main reasons for low blood to the brain and artery problems. Take walks in the countryside and get with the green, look up at the sky and soak in the blue. Keep your brain active with puzzles and problems solving. Keep a good blance between relaxing and keeping busy. Learn something new like a language or a hobby. Always have a project and something to look forward to. Don't drink alcholol to excess. Get organised and write things down. Please add your own suggestions or comments. If you are thinking of going to your Halloween Party later this month as a Vestal Virgin, then it would be prudent to ensure the string or garlic is well embedded around your neck. Research at Havard has shown that injecting (mind you not drinking) the blood of young mice significantly improved the status of very old mice. It seems that it works on the brain mainly and was found whilst trying to find a cure for Alzheimers. The belief is that if the Alzheimers can be caught early enough it can be stopped. Of course, this age old fascination with taking blood from the young has been tried many times before and hence the vampire stories. One man notoriously injected himself with the blood from virgins but found no improvement. However, turns out he wasn’t quite dedicated enough and to be effective needs 5% off blood being replaced with ‘young blood’ 8 times over the course of a month. Not only can Alzheimers be halted but the memory and mind can become sharper too. But if it is all in the mind then is this going to be the next big development in hypnotherapy - similar to the gastric band therapy for weight loss? Many implications spring to mind for a real live process - will people have more children to ensure that they have a constant supply of fresh young blood as they age? Will students be selling their blood to pay their college fees? ht in fact help keep the cardiologist away, new research suggests. A study in Ohio funded by the apple industry has been said to show remarkable results which seem to indicate that eating an apple each day for just one month lowered the levels of a substance linked to hardening of the arteries by 40%. the study subjects were healthy middle aged adults. As this research is not totally independant, being funded by the apple industry, it is worth keeping an eye on any further findings. However, there can only be positive results from eating an apple each day so it is worth giving it a go - one of your five a day - but make sure you do rest on your laurels and take3 other preventative measures too. Apples currently are quite expensive and the supermarkets are now offeering inferior brands that are not quite so tasty and a few years ago would have been rejected - so they can offer a cheaper option. Before erating apples that are not organic it is worth soaking them in a bowl of water with a tablespoon of cidar vinegar. Let them soak for a while and then wipe them dry carefully with a tea towel. This will help to remove some of the chemicals on the apple skins. We thought we would give you the opportunity to come up with some great ideas for giving yourself a break - any kind of break. We're aiming to get at least 100 ideas and the most creative, enjoyable and accessible idea will get a prize. So too will the 100th suggestion. Responses to a suggestions i.e. support for will influence the judging so feel free to comment on posted suggestions. Just a sentence will do or if you have a heart warming story that illustrates your suggestion go for that too. We're eager ready and waiting so go ahead and share your knowledge. Only we will know your email address which we will need in case you win and we do monitor all responses to prevent unwanted spammers. Get a prize for the best suggestion (add as many as you like) and a prize for the 100th suggestion too. With the onset of Autumn and the rapidly approaching Winter, SAD or Seasonal Affective Disorder sufferers might already be starting to feel the effects of a dull wet end to the Summer and increasingly shorter days and poor light. This all sounds a bit negative but even if you have not prepared for the effects of SAD in the late Summer, which is always advisable, there are a lot of effective things you can do to try and alleviate those blues feelings. In addition to indoor light exposure make sure you plan to spend quality time outdoors everyday even if it's overcast....even overcast light is better light than indoor light...as Christmas time is sometimes a peak time for SAD plan outdoor activity over the festive period too. Your diet may also be a major player in SAD....try to keep "junk" food to a minimum...simple carbs like biscuits, cakes, pastries, breads and sweets don't help much except if you want to gain unwanted weight....and its a good time to consider your wheat intake as this Winter wheat products are expected to sore in price due to poor global wheat harvests resulting from climate change effects. You probably already know that serotonin levels in the brain are important for regulating mood, sleep and appetite and to maintain levels be sure to have plenty of complex carbs such as fresh fruits and veg and wholegrains and other foods associated with serotonin levels such are chicken, turkey, cottage cheese and peanuts (so long as you are not intolerant to any of these)...a good time to eat these foods strategically are mid day to late afternoon... then to push the resulting tryptophan increase through the blood brain barrier try a little mash or small jacket potato for supper. If you are taking Serotonin Re-Uptake Inhibitors check with your GP about increasing these types of foods. If you are often dull and sluggish it might help to maintain good protein levels as these boost dopamine and norepinephrine levels that help to keep you alert and active....be sensitive to protein at breakfast as we notoriously neglect protein at this meal favouring packet cereals and toast like breakfasts...try omelettes, poached or boiled egg...cottage cheese...bean pate or nut butters on wholegrain toast....or bacon or turkey rashers. Top up at lunch with sensible protein intake. As the day recedes you protein intake is less useful....this is interesting when you consider that many people have a thumping big protein driven meal in the evening when their bodies are preparing for approaching sleep. Remember, you don't want to add to your stress levels by making drastic dietary changes all at once and if you really fancy something naughty but nice it might be important that you have it occasionally so long as you are eating well for 90% of the time. So if you are always thinking about chocolate cake or hob nob biscuits then to resist this desire can often make things worse...just keep things in proportion. So what supplements might help with SAD? There are many claims for many supplements and you may have to try several to find one that works well for you but the following have been shown to be helpful in nutritional circles. 2. Vitamin B Complex helps maintain normal brain and nervous system functioning and can help with stress. 3. The mineral zinc has been found to be deficient in people with depression...use the lozenge type and do not exceed stated dose. The thing about natural products and supplements is that it's often horses for courses and some people discover one that really helps them while it might not help a friend they know who also has SAD so it may help to work with a Nutritionist who can steer you throught the jungle with both foods and supplements. If you are on any medication consult with your GP or a health professional if you are thinking of taking supplements or making considerable changes to your diet.